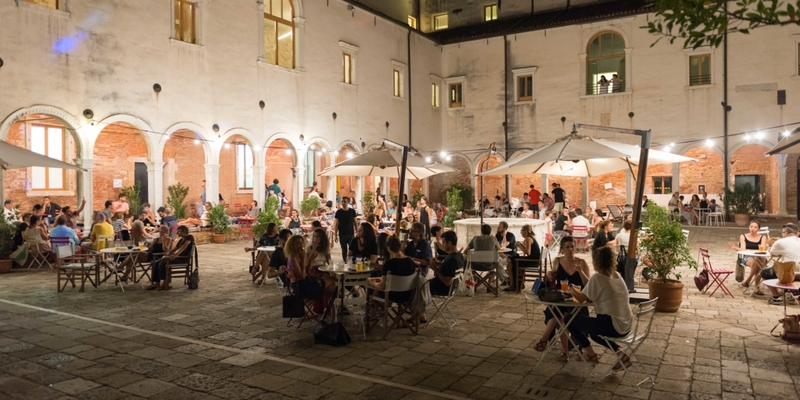 Every week from 7:00 p.m. Caffè ai Crociferi will host live concerts and dj set in the ancient cloister of Crociferi, ranging from electronics to Caribbean vibrations, from cumbia to downbeat, from blues to jazz and much more. On the 2nd and the 4th Sunday in the cloister it will take place an open air cinema (projections start at 9:30 PM). Besides being a cocktail bar where you can enjoy selected drinks and food, Caffè ai Crociferi aims to be a new meeting and entertainment place for the Venetians and everyone who lives the city temporarily.